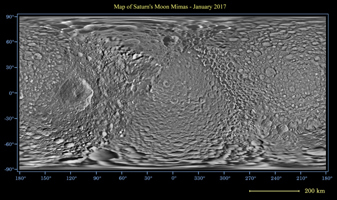 This global map of Saturn's moon Mimas was created using images taken during Cassini spacecraft flybys. 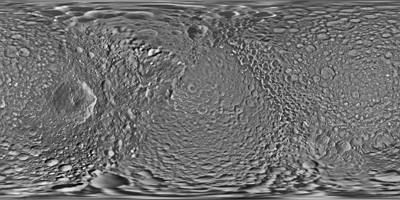 The moon's large, distinguishing crater, Herschel, is seen on the map at left. The map is an equidistant (simple cylindrical) projection and has a scale of 710 feet (216 meters) per pixel at the equator. 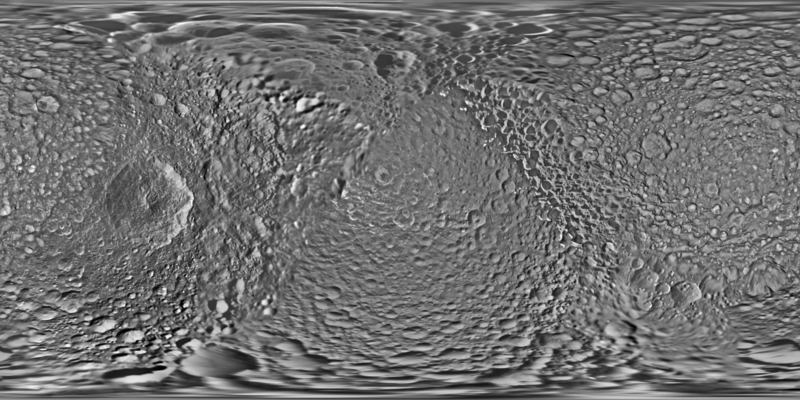 The mean radius of Mimas used for projection of this map is 123.2 miles (198.2 kilometers). The resolution of the map is 16 pixels per degree. This product is an update to the map released in August 2012 (see PIA14926). 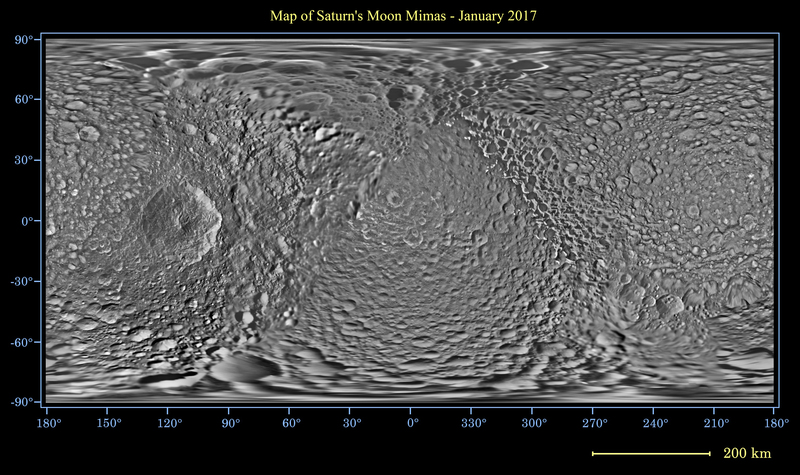 The update includes new images for almost half of the moon's surface, with new images from two close flybys, in Nov. 2016 and Feb. 2017. The moon's western hemisphere, south pole and parts of the eastern hemisphere received updates in this version.